Jackfruit is an in-season fruit that’s been gaining popularity in vegetarian and vegan recipes because with the right seasonings and sauces, it can mimic the taste and texture of meat. Whether you’re vegan, vegetarian, or just looking to incorporate more Meatless Mondays, these healthy jackfruit recipes can help you give it a try. First up, your game day craving can go meatless with this Jackfruit Nacho Supreme. These beautiful Vegan Bao Buns with Pulled Jackfruit look exactly like their meaty counterparts. 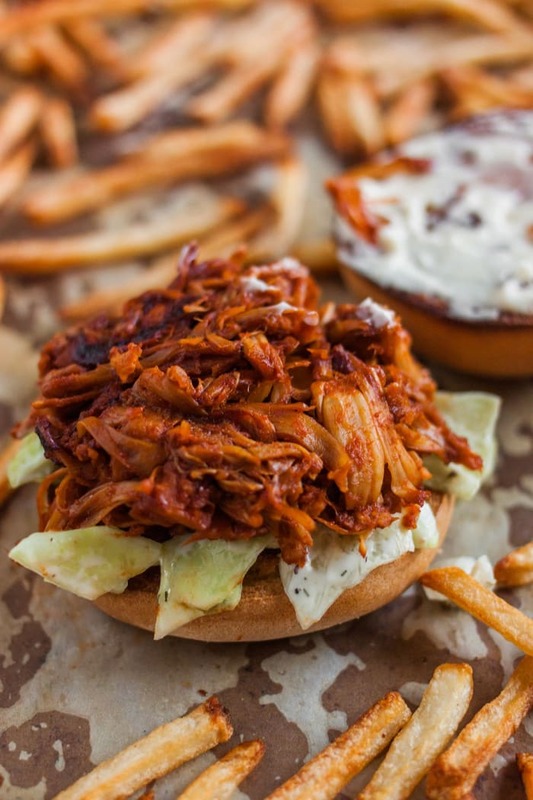 Never miss out on BBQ season with this Ultimate BBQ Jackfruit Pulled Pork. This quirky Vegan Buffalo Jackfruit and Broccoli Rabe Flatbread is perfect for guests or a light lunch. Skip the food truck at lunch with these easy and delicious Vegan Pulled Pork Banh Mi. Bring guests meatless munching at your next gathering with these Jackfruit Taquitos with Southwest Dipping Sauce. Build your own dinnertime favorite with Vegan Teriyaki Jackfruit Bowls the whole family will love.